Here are a couple images that I'm goo-goo-gaga over. There's just something about the pastels and designs that make me feel so calm and happy. I really think we should get some neuro-imaging of females/males viewing beautiful fashion images. Image sourced from tumblr - if someone can link me to the original editorial so I can see the rest I'd be forever grateful. love love love that satchel. great find chantelle! 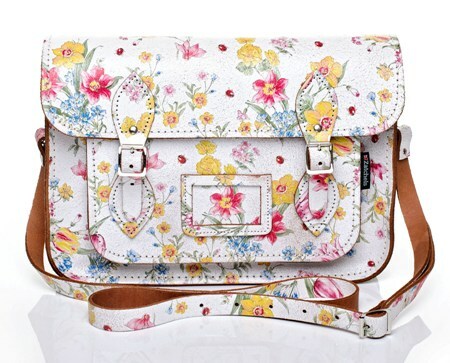 The floral satchel is gorgeous! I want one for Spring! The photo of the girl is from a collection by Roxane Attard. The rest of the pictures are here, and just as pretty!